Believe it or not, the London Borough of Hackney was once a wild and marshy place, the name itself likely having roots in the Old English for Haka’s Island. 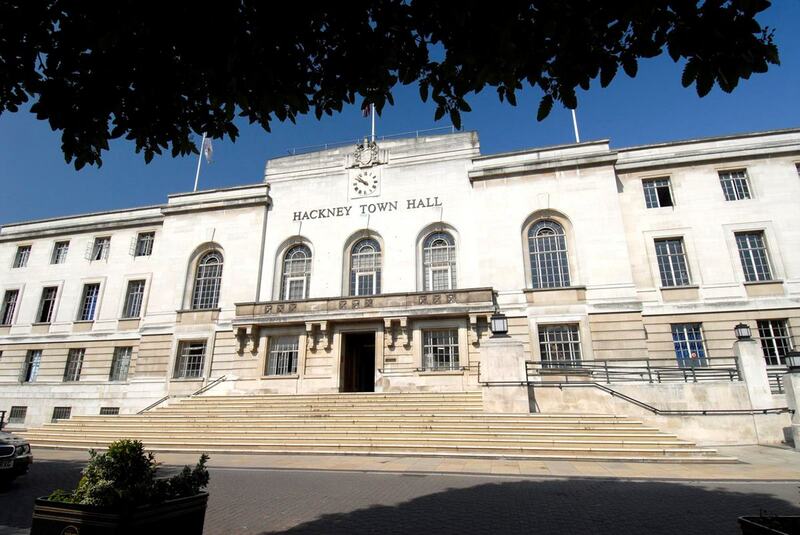 Now of course, Hackney is one of London’s trendiest boroughs and nowhere proves this more than the recently refurbished Hackney Town Hall. Hackney Town Hall combines the original elements of 1930s design with modern elegance. This gorgeous venue is perfect for weddings and can host both the ceremony and celebrations. 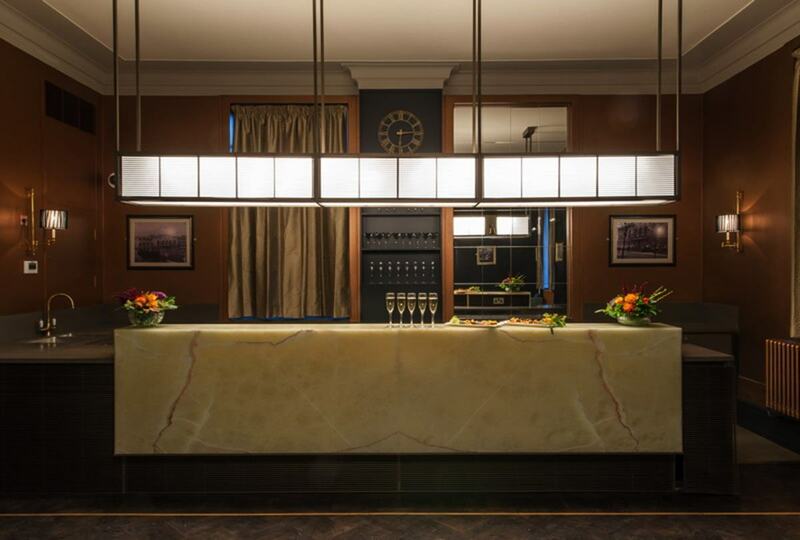 Fresh from a multi-million pound refurbishment, the clean white aesthetic shows off the glorious Art Deco motifs that make Hackney Town Hall one of the best original examples of ‘20s and ‘30s style in London. Full of natural light, this main hall is light and airy and imbued with ineffable style thanks to the iconic geometry of Art Deco. 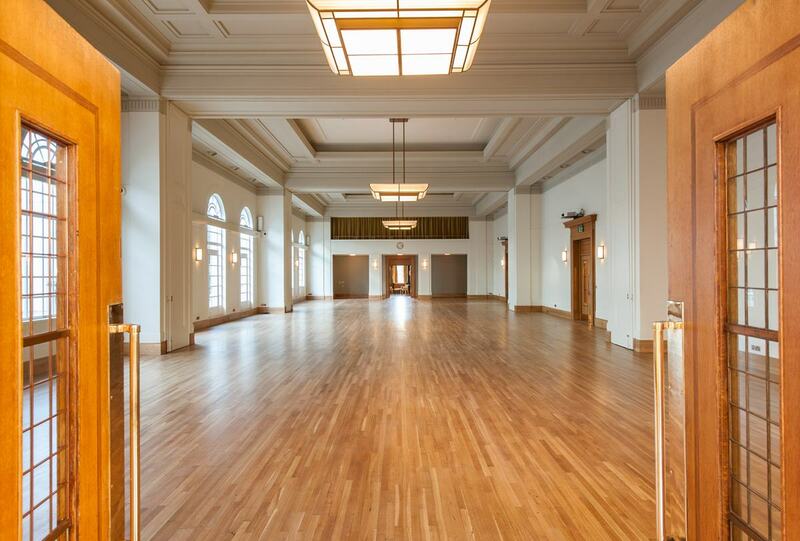 The Main Assembly Hall, for private events, can be accessed via a grand private staircase that will be sure to impress even the biggest ‘20s socialites among your guests. At maximum capacity you can host a standing reception for 550 guests or 300 seated guests for a dinner. Of course no reception worthy of Jay Gatsby or Bertie Wooster would be complete without a dance floor, and Hackney Town Hall more than delivers. The hall features a stunning original sprung dance floor presided over by the original chandeliers, so with the option for a 140-person dinner dance, you can shake a tail-feather in opulent ‘30s style. 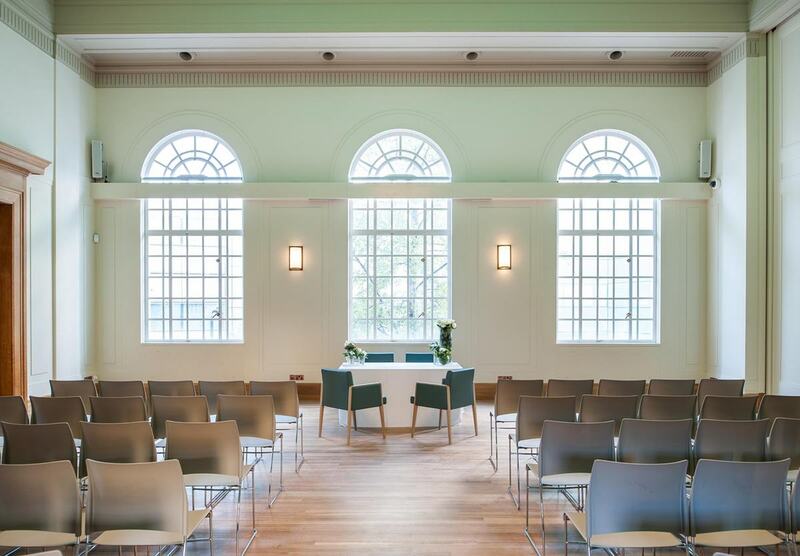 Hackney Town Hall's blend of traditional class with modern design is not only perfect for weddings. The original partitions allow the space to suit more intimate gatherings while three smaller spaces are ideal venues for business thanks to state-of-the-art AV equipment and conference-style furniture. 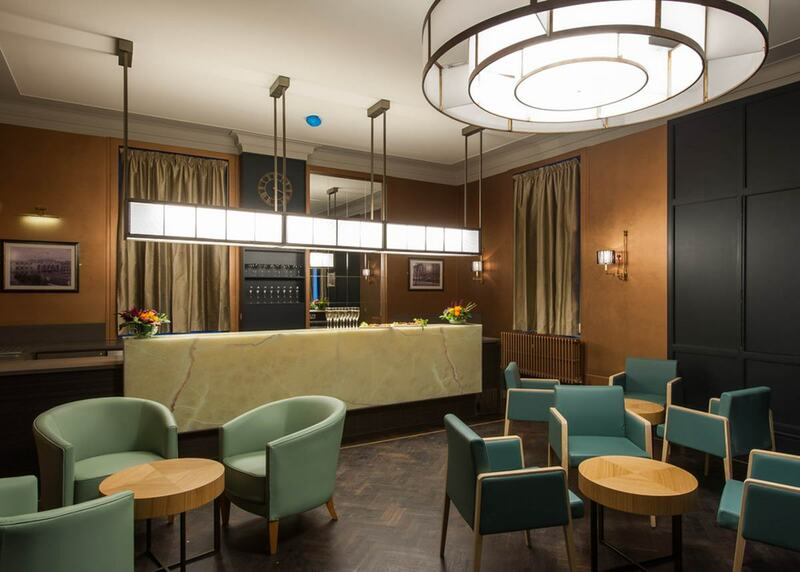 The adjoining Bridgetown Bar evokes a gentlemen’s club, thanks to it’s suave marble and dark wood fixtures, and is perfect for use as a private bar or VIP green room. This freshly reopened venue is the perfect place in which to achieve the modern grandeur and elegance your event deserves, whether it’s the wedding of your dreams or intimate business drinks. 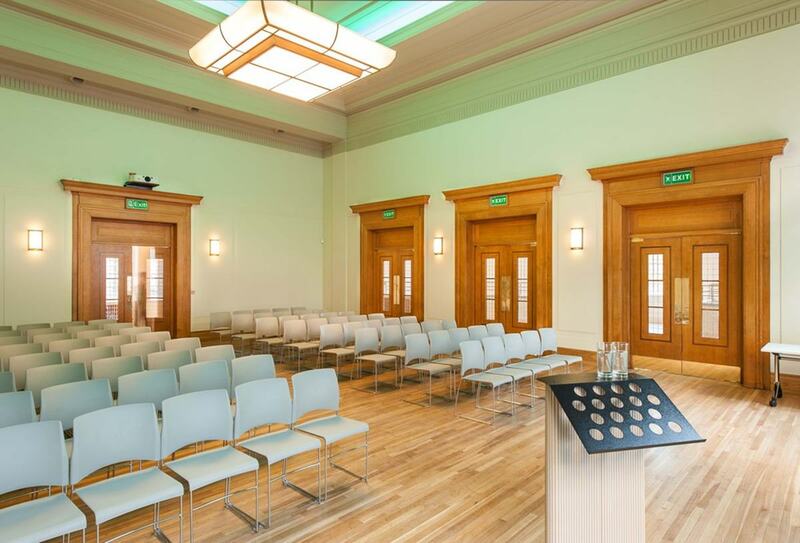 The clean vintage style of Hackney Town Hall is the perfect foundation for an unforgettable event.